Thin profile makes for faster cutting and less waste. 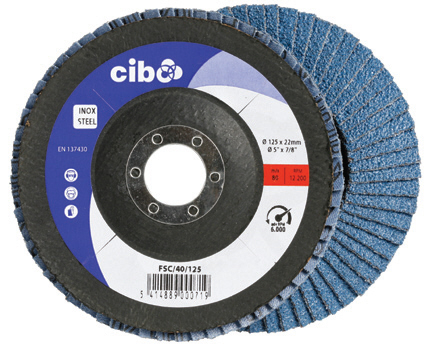 Sizes 100-230mm for almost all angle grinders. Size 355x25.4mm fits most standard bench chop saws. Size 75mm size has rated speed of 25,000rpm, correct for most air tools. Suitable for use on stainless; free from chlorinated, sulphurous and ferrous fillers. 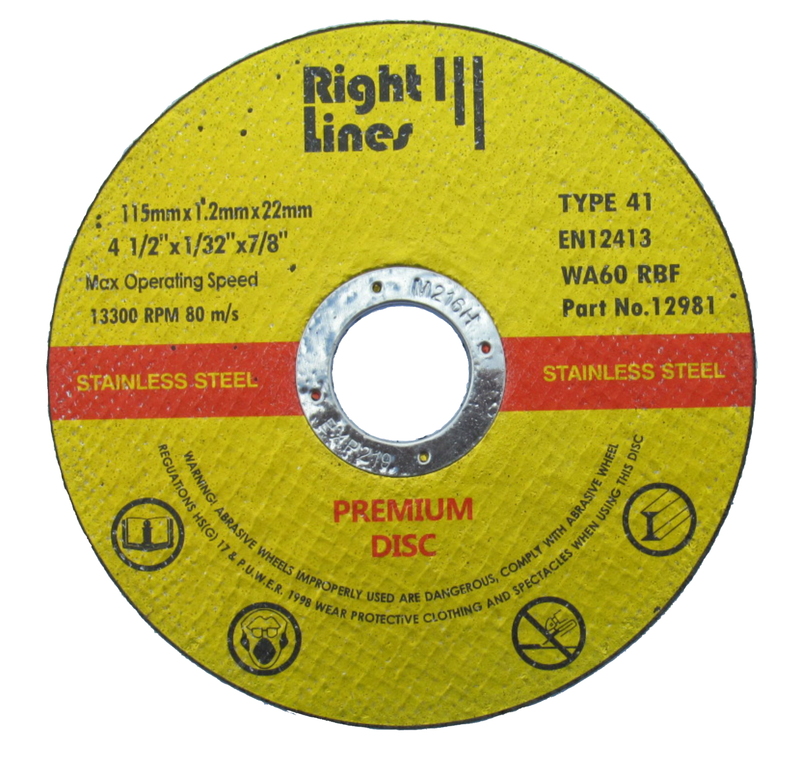 Quality discs with metal mounting centres. Special offer on popular 115mm size: Buy 200 for £90.00. This mandrel is for 75mm slitting discs and diamond Multi-Cut blades. 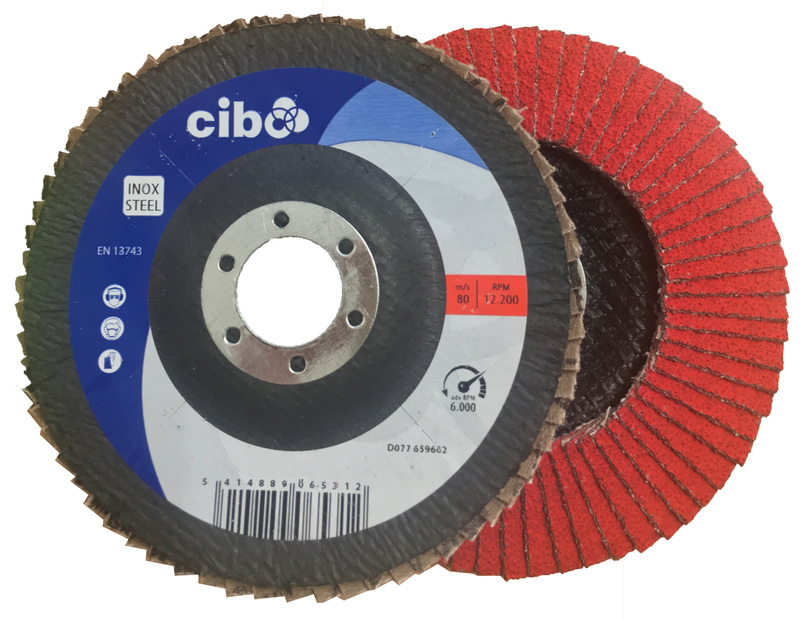 Ceramic abrasive flap discs offer a massive increase in life (typically 3 x equivalent zirconium) and faster grinding performance. 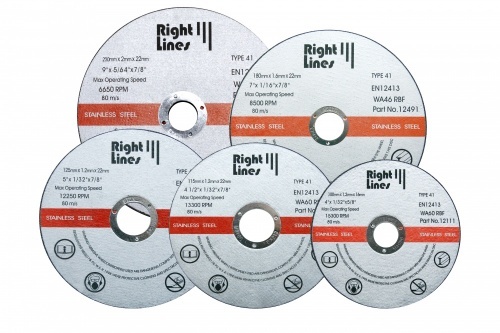 Our Premium thin metal cutting discs give even longer life, requiring fewer tool changes and are great for cutting either mild or stainless steel. These premium zirconium flap discs are stocked in sizes 100, 115, 125 & 180mm and are ideal for stainless steel and hard ferrous alloys.